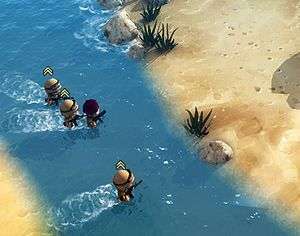 For those of us “of a certain age”, the similarities between the Tiny Troopers gameplay and that of the classic Cannon Fodder series are remarkable but, in all honesty, that’s exactly what Kukouri were going for when they created this modern-day nod. The greatest difference between both games is that, sadly, we’ve come to expect near-photorealistic graphics, vast frame rates and cinematic cut-scenes as standard. 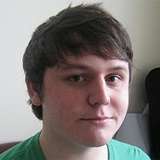 So, while Cannon Fodder was immediately heralded by some of the most-respected industry publications at the time as being game of the year, or flawless, today’s gamer is an entirely different beast altogether and would see its cartoon-style graphics and simplistic gameplay as being more casual fodder. The sad thing is that, while the graphics are certainly very whimsical, and the controls are no more than a mouse-click here and a key-press there, by classing it as nothing more than a casual game is doing Tiny Troopers something of a gross dis-service and could lead to many people overlooking the game entirely, assuming that it’s geared more towards the closet gamer on the train who gets bored of Sudoku and yearns for something a little more involved… but it’s so much more than that. While it won’t be easy to explain why, without veering too far off-course from a typical review, my hope is that it will make sense by the end. 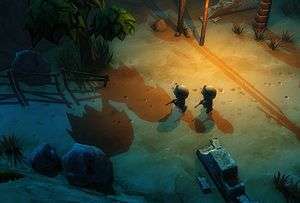 The premise of Tiny Troopers is simple – keep your men alive, at all costs. At the beginning of each mission, you will be assigned a certain number of units, given a very brief run-down of what your objective is for this particular outing, and the opportunity to select one or more specialists to take along with you in order to ease the strain. Unless the briefing gives you a nudge in a particular direction, it’s difficult to know in advance which of the available units are best-suited to the campaign and it’s usually with the benefit of hindsight that you find this out. It’s the ‘finding out’ part, however, that makes Tiny Troopers as enjoyable as it is. In terms of the actual gameplay, each mission begins with your Tiny Troopers being dropped off by one of those large helicopters from the start of The A-Team before zipping off into the sunset and leaving your guys to take care of business. Sure, they could hang around and offer air support considering you’re generally going up against a dozen or more enemy units, but that would make for a somewhat tedious affair and so, instead, you’re on your own. Your troopers move in unison, with no way to split them up in any way unless they happen to be wandering in the same direction and are inadvertently split because of obstacles or terrain. As a veteran Command & Conquer player, it was initially quite difficult to ‘un-learn’ the ingrained practice of selecting a single unit – or a specific group – and sending them in one direction while you consider your moves for others, but the simplicity of the controls made it natural within perhaps twenty or thirty minutes. Controlling your team is as simple as single-clicking with the left mouse button to either create a waypoint while you decide on further tactics, or send them directly to the objective area to do their stuff, while the right mouse button forces your squad into attack mode. Holding CTRL switches to special weapons, such as launchers or grenades… and that’s all there is to it. 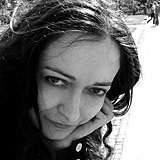 While the control mechanism is perhaps the simplest since the likes of PONG or the classic Pinball games, the campaigns themselves are far from being a walk in the park. 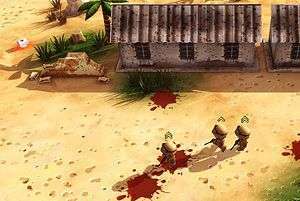 As you’d expect, each mission grows progressively difficult as enemies require more hits, have considerably more firepower than before, and the snipers mean that your men can sometimes start dropping like flies and you won’t know who’s responsible for the kills. If being sniped from afar wasn’t bad enough, the enemy’s equivalent of your Delta Force unit has the ability to call in air strikes and your guys tend to move slower than the missiles, so avoiding the target area is often an exercise in futility, resulting in one or more of your squad being taken out in a single hit. In one particular mission, which I believe was level eleven although I may be wrong, it made no difference which of the three routes I took to approach the objective – my entire squadron was obliterated as soon as I reached the bridge. If I decided instead to approach from the right hand side of the map, cross the river – your units move slower in water – and infiltrate from the rear, they would still be taken out as soon as they got close to where the bridge was situated. The problem was, in order to get to the actual objective, you had no choice but to pass by that specific point of the map even if you tried to avoid it. It wasn’t until thirty or more failed attempts that I decided to ask Uncle YouTube for some advice, and that’s when I had one of those ‘forehead-slap’ moments and realised what had to be done. Regardless of how soul-destroying it was whenever the ‘Mission Failed’ notice danced on to the screen, taunting me, there was never a point where I wanted to throw the PC out of the window. It has that level of frustration akin to the Trials HD series where, even though you know that spending two hours repeatedly trying to get through one sixty-second-long track is utterly ridiculous, you’re driven on by the determination to actually achieve that goal and the ‘one more try’ mentality is hammering away at your brain as the hours tick by. Going back to the old-school ethos, Tiny Troopers brings with it the permadeath. It’s not often that you find such a thing in a modern game, with most opting for the infinite respawn option or some sort of limited lives – along with the ability to increase these lives as you go on – but Kukouri are sticking to their guns and going back to their roots. There are positives and negatives to be had with this approach to mechanics though, with the obvious down-side being that your progress over ten levels could be instantly wiped out by a rash decision or a rogue mine that you perhaps didn’t spot in the undergrowth. The up-side to this, and I’m clutching at straws here, is that you play with an air of hesitancy and are forced to plan each move well in advance, taking in the environment and making calculated decisions as to whether or not it’s worth the risk of traversing a mine field for the collectible dog tags if you have no grenades left with which to detonate the mines from a safe distance. At the end of each successful mission, cash is awarded with the amount varying depending on certain factors such as how many units were lost, whether all objectives (including those which are optional) were met and the number of collectibles picked up along the way. This in-game cash is then used to add perks to your squad before each mission on a per-mission basis, so adding a higher fire rate will only affect this one particular outing, resetting again at the end of the mission whether a success or not. 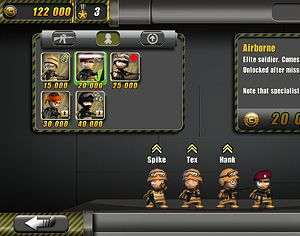 The same principle is applied to the “Specialists” where choosing between a Grenadier, Airborne, Medic, Machine Gunner or Delta Force will provide you with back-up from your hired guns for the next mission only and each require you to reach a certain level before unlocking. As well as the ability to hire Specialists, collecting medals unlocks a series of training perks which do carry over to every subsequent mission. Starting with ‘Boot Camp’ at a price tag of only three medals – offering +10% increase in range, additional 10% rate of fire and an automatic unlock of the ‘Infantry’ training option – these perks stack to offer all units the same bonuses regardless of whether they are veterans or new recruits. Even with the permadeath, this does mean that, provided you’ve been spending your medals, you can still take on some of the tougher missions with a bunch of newbs. If, like me, you continue to fail the same mission repeatedly and have been ploughing a ridiculous amount of cash into the temporary bonuses such as fire rate, damage or magazine size, you could very well end up with little or no cash left mid-campaign, and this is when it’s particularly advantageous to backtrack to individual missions as you’ll be able to collect the completion rewards by repeating much earlier missions which may pose no threat to your squad. With a top-line of $23,000 for all temp perks, it’s sometimes necessary to replay older missions to build up cash prior to taking on one of the more challenging levels. The odd thing is, however, that Tiny Troopers is such an addictive game… even with the odds heavily ramped up against you in places. It is, so far, the only game I’ve ever played which has started off on the mobile gaming platform and successfully made the transition to mainstream release but had me immediately wishing that it was available for the PS Vita. Had I an iPad or iPhone, I’d likely be playing Tiny Troopers a lot more than I will on the desktop or laptop and yet it’s the first time I’ve ever been able to say that. To have captivated someone who is not actually a mobile gamer, and had me at the point where I’d even looked at iPad prices is ridiculous… and should also be commended. 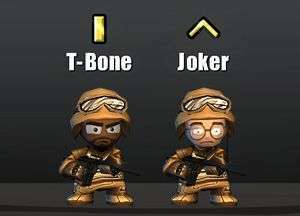 With thirty missions in the campaign, the opportunity to build up characters throughout each level (assuming they survive) and the ability to replay completed missions, Tiny Troopers is one of those rare time sinks where it’s difficult to tear yourself away when you know that this time may be the one where you get through in one piece. The graphics are beautifully presented in their simplicity, and the controls are easy to pick up from the outset, making Tiny Troopers a joy to play and an easy way to while away the hours or jump in for a quick game before work. Ultimately, it comes down to this - Tiny Troopers may have started life as a mobile game and it may be simplistic in its approach to gameplay. It may also be borrowing heavily from a much-loved retro game and making no attempt to hide it and it may be crude in terms of aesthetics when compared to the likes of Skyrim or Battlefield 3, but it's every bit as good... yet in a different way. It's addictive, rewarding, and it's soul-destroying when you see your beloved 'T-Bone' or 'Doc' finally kick the bucket after a dozen successful missions and, with such a cartoony art style, it can also be brutal and sinister. It'll be a tough sell trying to convince the mainstream gamer to pick this one up, because it'll always be seen as nothing more than a casual game but, as I said at the start, this is doing Tiny Troopers a dis-service. You guys rock. Thanks for the well thought out review dudes. Love reading good articles about Tiny Troopers. I remember how unforgiving Cannon Fodder was, back in the day, and read this with interest. I love quirky visuals, as evidenced by my choice of point and click adventures, and it is a nice elief from the usual rush for realism when it comes to war or strategy games. Loved the sound of this and completely agree… it should be available for Vita. I’ve been playing this recently and you’ve pretty much got it all spot-on. It’s addictive fun and an extra plus is I can play it windowed and multi-task by catching up on all my shows at the same time. Plays havoc with my mission rankings though!